I have left hip pain that keeps me from walking very far and difficulty climbing stairs and inclines. I also have pain when getting up from my chair. It hurts in the groin area and down my leg. I have front left hip pain that prevents me from walking very far, climbing stairs, putting on my shoes and sleeping. Used to be intermittent, but now it's constant. 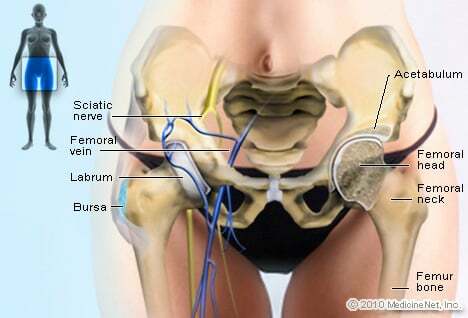 I have pain in the groin area when walking, but it comes and goes. My leg gives out when the hip pain is really bad. I had no injuries but did start stretching exercise classes at the gym and I think it started hurting after that. I have pain in my groin when trying to stand up. I also have pain in my hip and back area.